For a contemporary Italian to talk about a Royal Wedding is an unfamiliar task. On June 2, 1946, Italians decided they had had enough with Kings and Queens and in a historical Referendum, during which women voted for the first time, they opted for a new form of government: Republic. In the United States, where the Founding Fathers wanted to ensure that no such system of heredity developed, titles of nobility were outlawed by the Constitution, and as a result unfamiliarity with the subject is just as high. Or at least was. 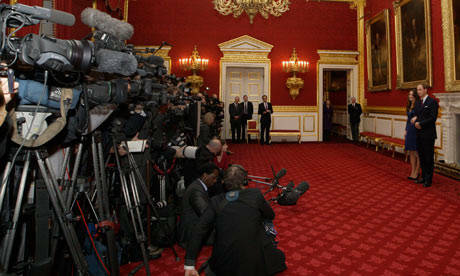 Over the past few months it has been quite a task to avoid the media-inflated monarchy frenzy. The first-born of Prince Charles and Diana Spencer is getting married. And considering the fact that his father's eccentric life choices - for Royal family standards, that is - might cost him the British throne, all the eyes are on his son. Prince Charles is technically the next in line to become King but rumors frame Prince William as the paladin who will ensure the future of the House of Windsor. Hence the Royal Wedding, which is soon to be celebrated in Westminster Abbey and across the monarchy-enamored parts of the globe, has become quite a relevant affair. Many murmur that we are witnessing the nuptials of the future Queen and King of England. How exciting. The bride-to-be is Catherine Elizabeth "Kate" Middleton, born in 1982, daughter of a flight attendant and a flight dispatcher for British Airways and the eldest of three children. The groom is the first son of Prince Charles and Lady D, born in 1982 as well. The two became college sweethearts after meeting in 2001 in Scotland at the University of St Andrews. After eight years together, it was their October 2010 engagement that sparked an unparalleled media buzz, especially in the not so aristocracy-friendly America. 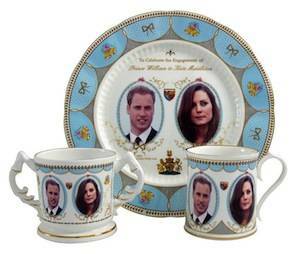 US news outlets, in fact, have been in the front-line of the Royal-mania. A Nielsen study released this week found that for the past six months, the United States has devoted twice the amount of media coverage to the event than the outlets in the UK or in Australia. Inside Westminster Abbey there will be 40 broadcast cameras, 12 photographers and 28 reporters from national, international and local media. Outside, there will be 8,500 journalists and more than 100 overseas broadcasting organizations; most of them, of course, are from the US. The American networks have sent some of their biggest names to anchor the event, including Katie Couric of CBS, Diane Sawyer of ABC and Brian Williams of NBC. Two billion viewers worldwide are expected to tune in to the ceremony. When the spousal gets under way at 9:00AM in England, it will be 4:00AM in New York and 1:00AM in Los Angeles. 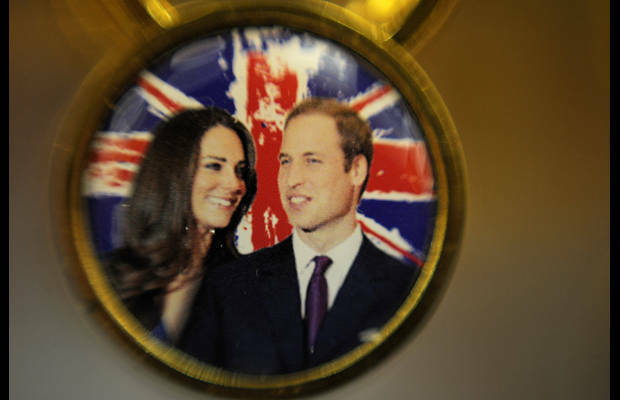 A high number of Americans are expected to be setting their alarm to watch Kate and William's vows while eating scones & tea or sipping Drambuie English Rose Cocktail, high on the cheklist for many royal wedding watch parties. In case you happen to be awake and in front of a TV roughly at that same hour (ET), however, there are some alternative options. TCM has lined up the 1952 film noir On Dangerous Ground directed by Nicholas Ray. Sundance Channel will bring you into the world of Tony Wilson, founder of Factory Records, who signed cult band Joy Division, 24 Hour Party People. And AMC will amuse you with a Three Stooges mini-marathon. For the sleepless who aren't necessarily film buffs other options are Rescue Chef on Food Network, the man who “solves culinary conundrums of everyday cooks;” Freak Encounters, on Animal Planet, for those who aren't scared by much, and reruns of the Golden Girls on Hallmark. Although the suggestion to enjoy a restful night of sleep is equally valid.